A few weeks ago, I posted about some fun I had making bows to coordinate with a dress project. 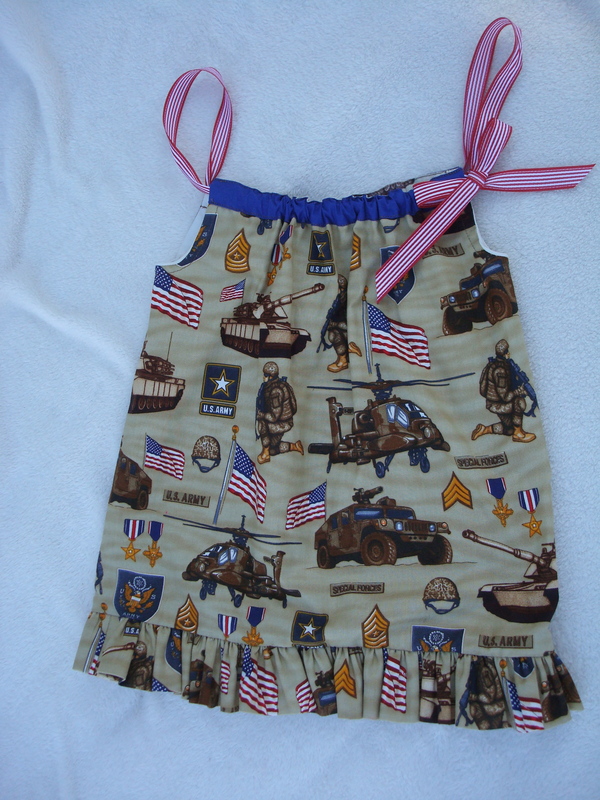 Today, I’d like to share a classic custom item with you: Pillowcase Dresses for little girls! Available as a custom order, I’ll work with you to find a fabric, theme, or color scheme for your little girls dress, then create it in her size. These loose dresses will get plenty of wear: alone as a sundress, or in other seasons layered with a short or long sleeved shirt, not to mention first as a dress and later as a peasant top. As an example of possible themes, take a gander at this Army themed dress. 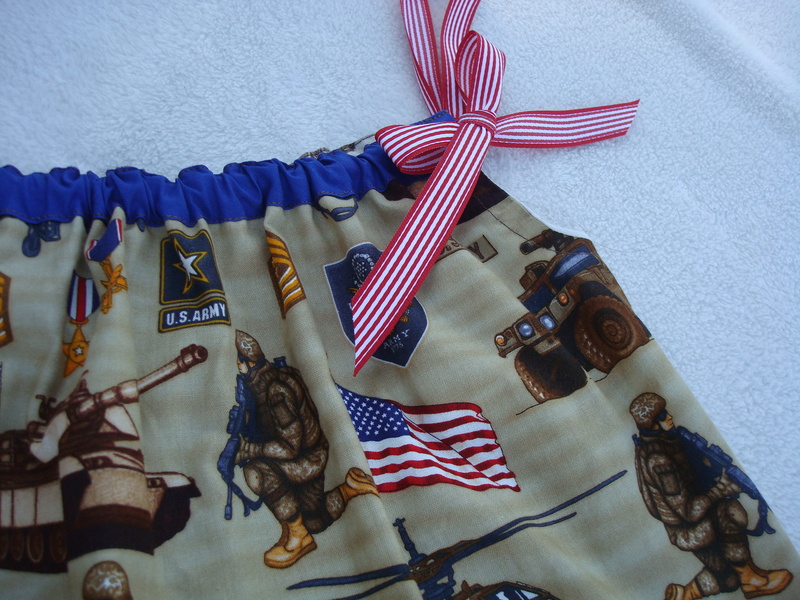 Red and White ribbon accentuate the patriotic theme, while a full ruffle along the bottom keeps things fun. Maybe you’d like something special to commemorate and remind your little one of an upcoming special vacation? 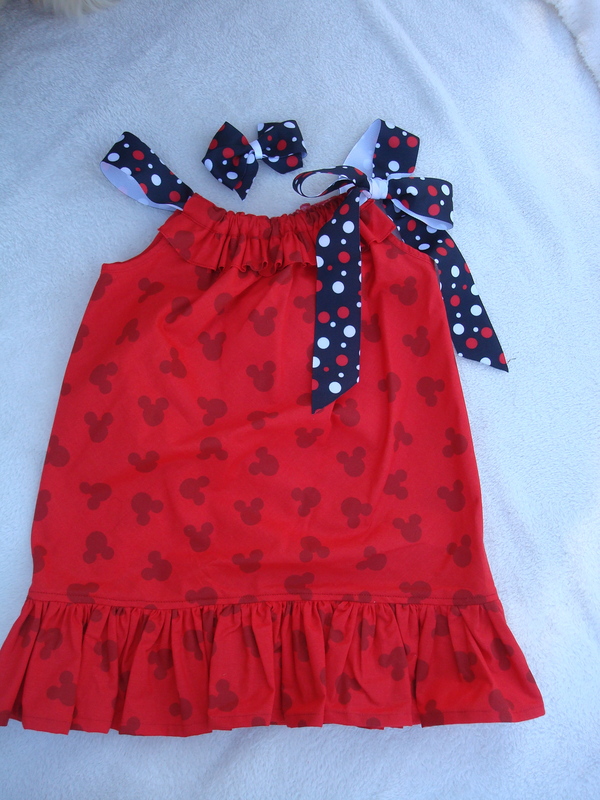 Then something like this special Mickey Mouse dress might be just the thing! Cut on the bias for extra movement, it has not only a ruffle along the hem, but a flirty one across the neckline as well. 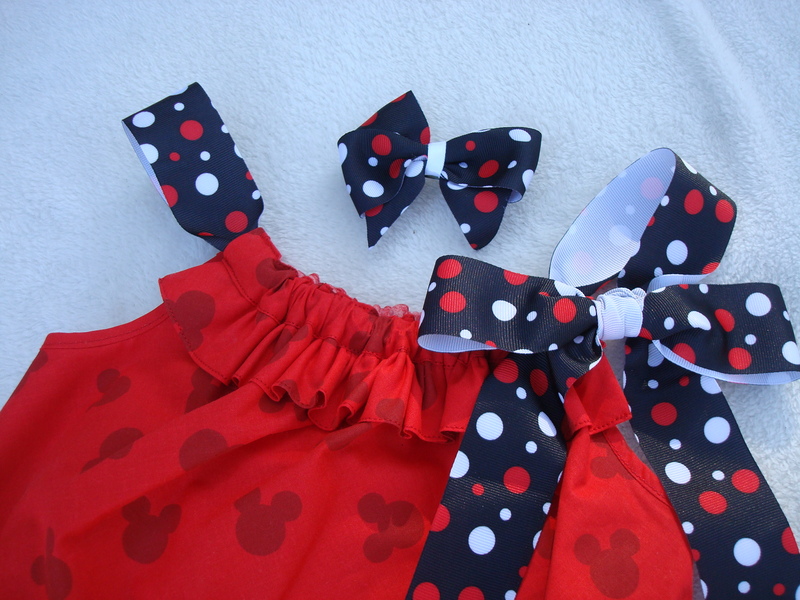 Add some fun bows and this look is a hit in and out of the theme park! These are just some ideas of the limitless themes available in this style of dress. If you’d like to collaborate with me on something for your favorite girl or two, please fill out the form under the contact tab or email me at susie@freerosestudio.com. Prices start at $22, and will vary depending on fabric choice, size, number of ruffles and added accessories. Want some instant gratification, with vintage bonus points? Snag this ready-made pillowcase dress, crafted from a vintage crocheted hem pillowcase. Not just for little girls, this would make a great summer top on a woman too!